July 18, 2012  The 2008 GOP presidential nominee came to the defense of Hilary Clinton's longtime aide on the Senate floor. While Sen. John McCain didn't mention Rep. Michele Bachmann by name, he made clear he wants her to stop suggesting the aide is helping the Muslim Brotherhood. June 29, 2012  The commercial uses the Washington Post and Hillary Clinton circa 2008 to attack President Obama and his campaign for dishonesty. 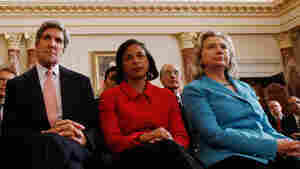 They're not exactly the usual suspects in Republican ads. 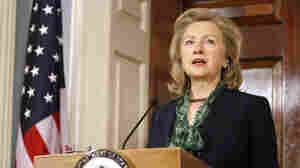 October 18, 2011  She is the highest-level U.S. official to visit Libya since the Gadhafi regime's collapse. Among the initiatives Clinton will announce: Donations of medical equipment to treat the war-wounded. May 2, 2011  Secretary of State Hillary Clinton issued a blunt warning to followers of Osama bin Laden, especially Taliban members in Pakistan and Afghanistan: You cannot wait us out. You cannot defeat us. March 1, 2011  As armed clashes escalate in Libya, the country is on the brink of a drawn-out conflict, according to Secretary of State Hillary Clinton. 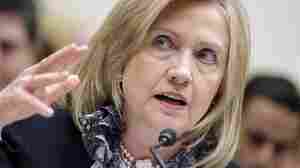 And the U.S. is considering military options such as a no-fly zone, Clinton told a House committee Tuesday. July 14, 2010  The U.S. and South Korea are expected to approve a set of joint military exercises next week.